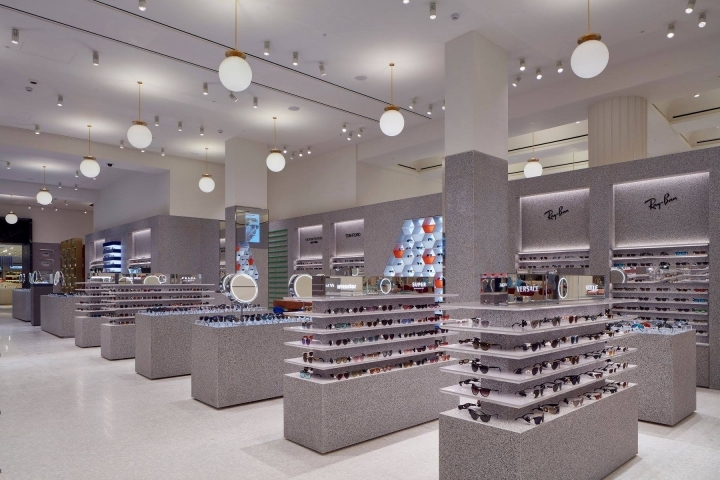 Selfridges London has completed the transformation of its new Accessories Hall with the opening of a new 372 sq m optical destination, offering the largest number of eyewear styles on the UK high street. 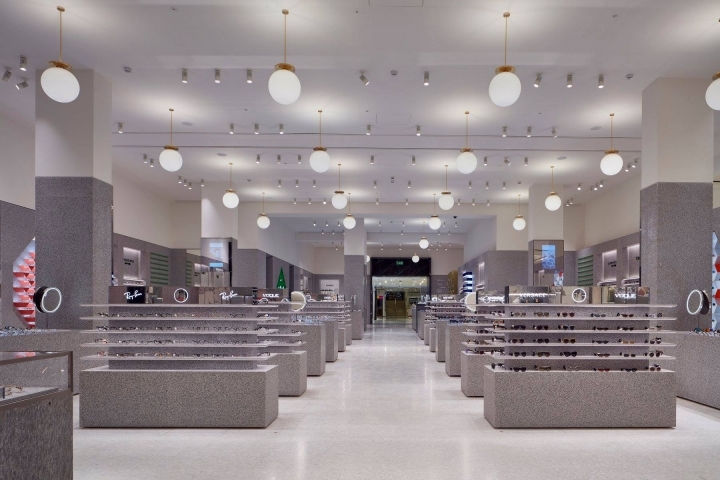 Designed by Alex Cochrane, the new eyewear destination conveys a sense of temple-like grandeur that is emphasised by the liberal use of luxurious, carefully sourced materials, such as white terrazzo and white marble. 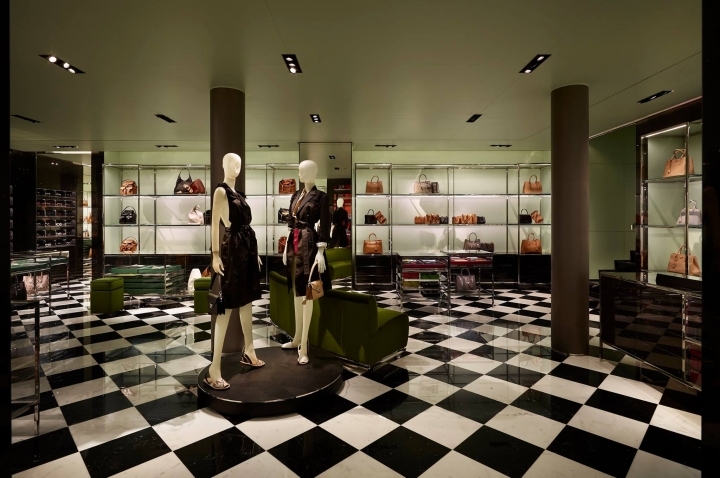 The use of walnut wood, rosewood veneer, glass, brass as well as felt on the walls, provides contrast to the space, as do the coloured geometrically shaped storage and display cases inserted into the walls. For all its understated and cool luxury look and feel, Cochrane has managed to create an environment that is at once accessible and serene. 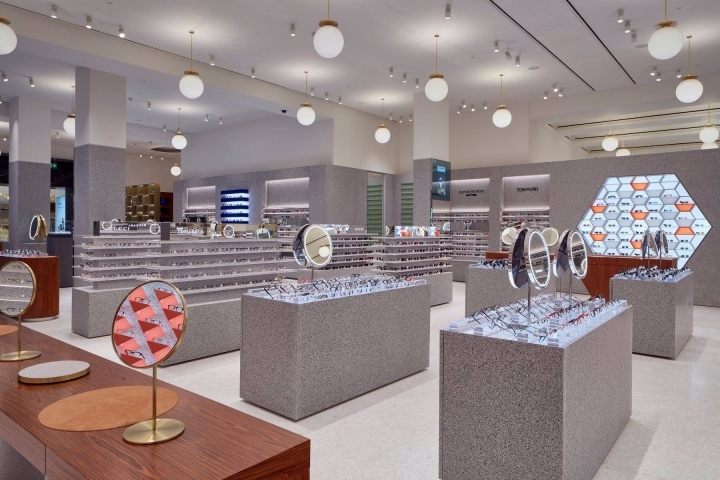 The department stocks more than 2,200 different eyewear styles, just under two thirds of which are sunglasses. The space also houses pre-screening and treatment rooms, as well as a lab where prescription glasses can be turned around within one hour. 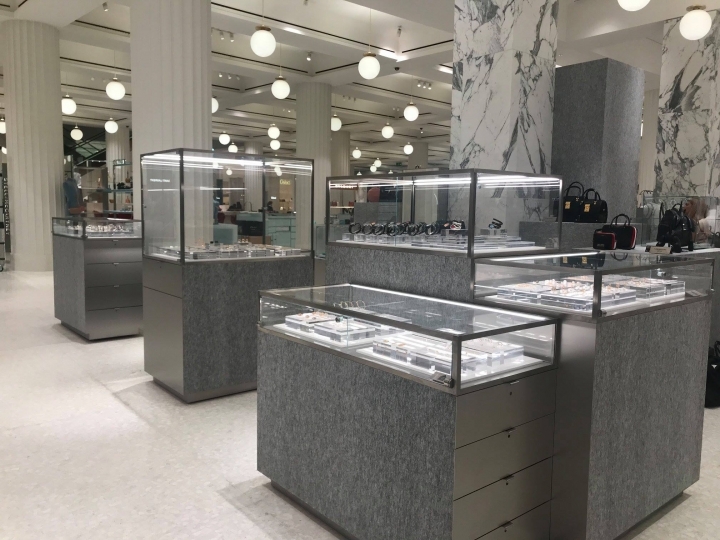 A new dedicated Chanel eyewear destination, selling a special edit from the world's most wanted fashion brand, stands opposite an area conceived to showcase a curated collection of the finest frames and sunglasses available anywhere. The curated collection, which will be constantly updated, is made up of a mix of one-off items and limited edition pieces from around the world. 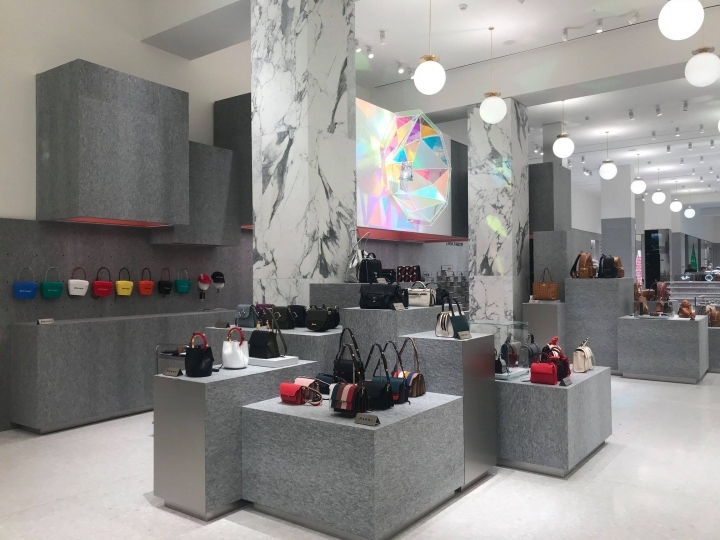 Launching alongside the eyewear destination is the Progressive Edit, a new go-to destination for cutting-edge handbags, small leather goods and other pieces. 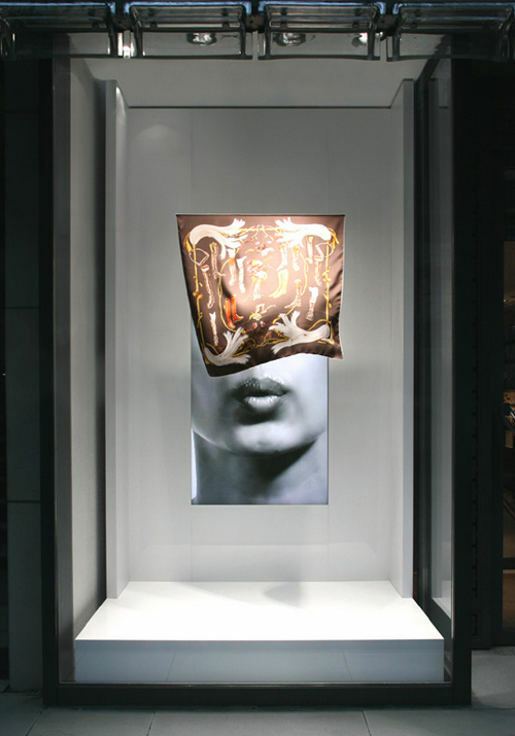 The space also houses a Dover Street Market jewellery space, the first stand-alone outpost for Dover Street Market jewellery outside of its flagship London store. Edit sit within the new 5,574 sq m Accessories Hall, designed by British architect David Chipperfield.